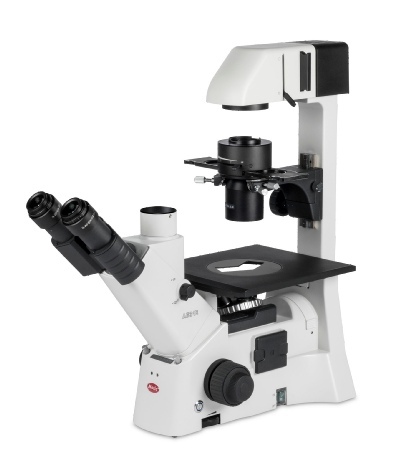 The AE31E is dedicated to the microbiology lab and displays Motic’s most recent improvements for reliable and reproducible image results. The AE31E works with the newest generation of LWD Plan Achromatic lenses and phase contrast is an integral part of the standard packages. The Phase concept requires only one Phase ring for Phase objectives 10X up to 40X; thus ensuring the proper light ring. 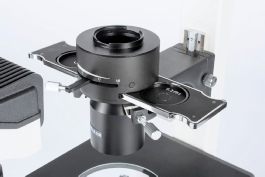 An optional Phase 4X objective allows fast screening under low magnification. The newly added LIGHT MEMORY function, based on an encoded 5-fold nosepiece, will recall the last light intensity setup when changing to the respective objective position. Once coordinated, there is no need to readjust the illumination power. The Standard instrument comes with 50W halogen illumination but for maximum brightness, a 100W Halogen version is available. 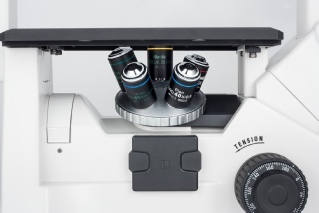 A final instrument check before leaving the lab becomes obsolete by the AUTO ON-OFF mode via IR sensor, saving energy during standby periods in daily work. 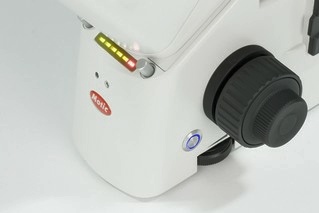 Upgrade options like Fluorescence are still strong features within this inverted microscope using the coolLED systems.